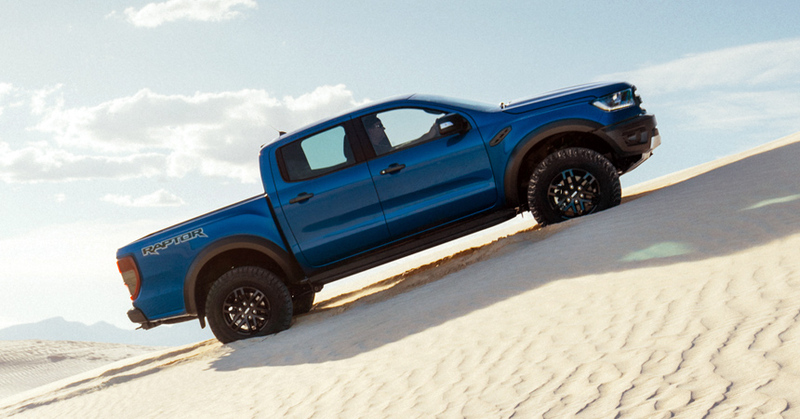 Auto Express reports that the Ford Ranger Raptor will arrive in the UK in early 2019, priced from approximately £40,000. The Ford Ranger is the best selling pickup truck in the UK, so it comes as little surprise that Ford Performance would bring the Raptor version of it to the UK market. For 40 thousand pounds, Ranger Raptor customers will enjoy an upgraded engine (2.0L turbo diesel with 210hp / 500Nm torque), 10 speed auto from the F-150 Raptor, six driving modes (two for road use and four for off-roading), custom engineered Fox Racing suspension, upgraded brakes, strengthened frame, composite material front skid plate, special wheels, and Raptor level visual flares (wheel arches, wheels, side steps, etc. ).